The Paradox of Medieval Scotland database explores the social relationships and identities before the Wars of Independence. The “paradox” refers to Rees Davies’ observation of Scotland that, “paradoxically, the most extensively English-settled and Anglicised part of the British Isles was the country which retained its political independence.” (The First English Empire: Power and Identities in the British Isles 1093-1343, p. 170). The project was funded by the Arts and Humanities Research Council in collaboration with the Universities of Glasgow, Edinburgh and King’s College London. 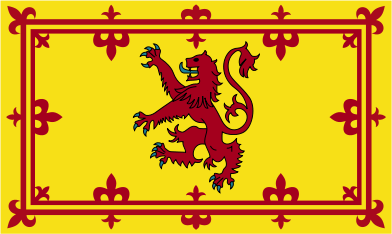 The project used over 6000 contemporary charters and the database contains all the information that could be assembled about every individual involved in actions in Scotland or relating to Scotland – in documents written between the death of Malcolm III in 1093 and the death of Alexander III in 1286. This represents a unique database which contains more than 15,000 people and institutions. An article in Local Population Studies by Amanda Beam outlines the methods of the project and discusses the various search strategies and possible uses of the site in local history. The site itself also has a number of useful articles including an introduction and timeline; glossary of terms and documents; and “features of the month”, which are specially written discussions on the data such as, The kings’ brithen (Gaelic for ‘judge’) and the recording of dispute resolutions by Dauvit Broun. There are the usual help screens and tutorials for searching. An e-book to accompany the project, The reality behind charter diplomatic in Anglo-Norman Britain, is available and contains the following chapters:- People and languages in eleventh- and twelfth- century Britain and Ireland: reading the charter evidence by Richard Sharpe; The donor and the duty of warrandice: giving and granting in Scottish charters by John Reuben Davies; Common burdens in the regnum Scottorum: the evidence of charter diplomatic by Alice Taylor; and The presence of witnesses and the making of charters by Dauvit Broun. Evidently a huge amount of research has been undertaken to develop this resource, research which has already yielded such results as evidenced by the features of the month and the e-book. Hopefully the resource will yield even more such research in the future.